Ideal 2 bedroom ensuite condo with bedrooms on opposite sides of the condo for ultimate privacy. Coming soon. Live at the center of it all! As a resident you will enjoy 24x7 doorman security and concierge, amenity floor with fully equipped gym, jacuzzi/hot tub, sauna, shared outdoor lanai, secure underground parking. The Sutterfield is near tech shuttle stops and one block from the 2, 3, 47 and 49 MUNI lines, two blocks from the 38 line and 3 blocks to California cable car line. Right off of Gough and Franklin for easy freeway access. 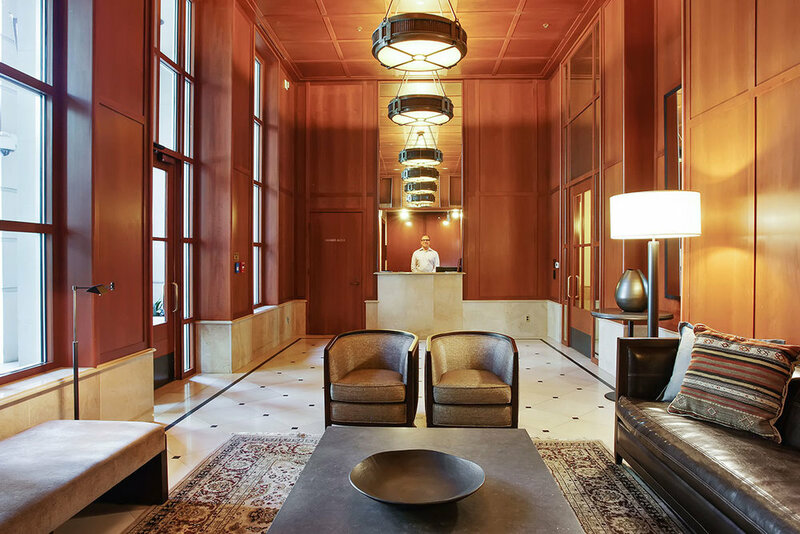 Fantastic central location, perfect for doctors, nurses, administrators who will work at the Van Ness Geary CPMC world class hospital, Tech Shuttle Commuters or those who want to be at the Center of it all!